It is absolutely imperative at the outset that you come to terms with this simple yet life-changing truth: God is for you. If you don’t believe that, then you’ll pray small timid prayers; if you do believe it, then you’ll pray big audacious prayers. Mark Batterson. The Philistines aggravated the Israelites, waging war and causing mayhem, for hundreds of years. They first turn up in Genesis where Abraham runs afoul of them, Isaac also has trouble with them regarding some wells and then of course the 12 spies report finding fearsome giants in the land and 40 years later when Joshua finally leads the Israelites into the Promised Land….the Philistines are still there creating trouble. They even capture the Ark of the Covenant in one battle, although they quickly regret that decision! 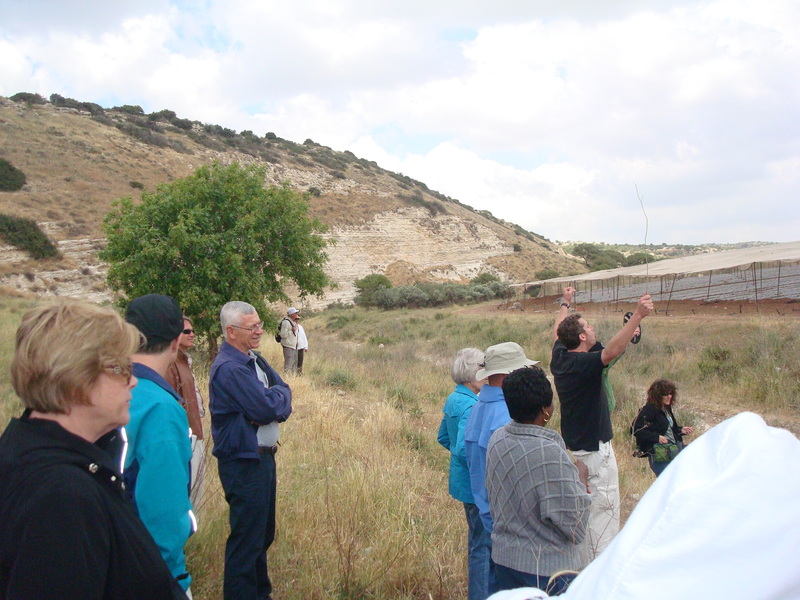 Gath, the Philistine capitol and Goliath’s hometown, lies midway between Jerusalem and the Mediterranean city of Ashkelon in central Israel among the Judean foothills,. 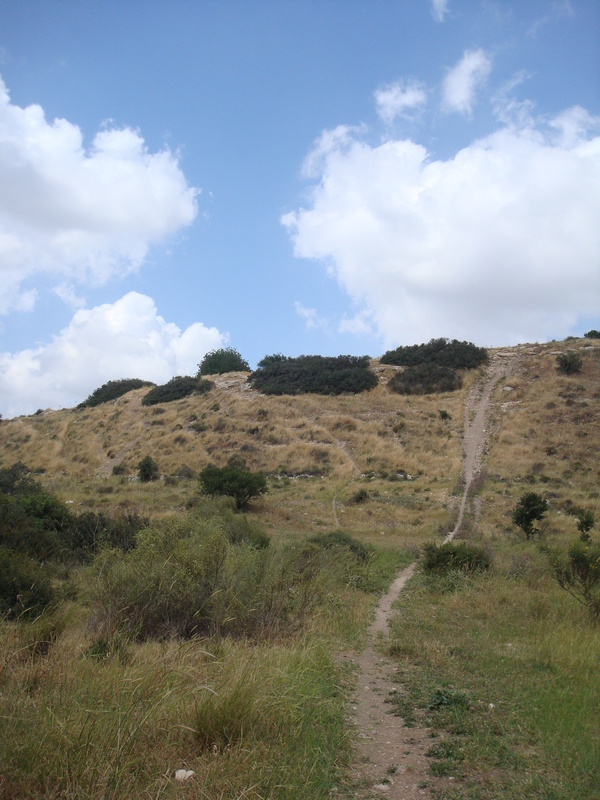 The site, under excavation since 1899 and part of the Tel Tzafit National Park, contains one of the largest Tels in Israel, providing extensive evidence of continuous habitation since 5000 BC. 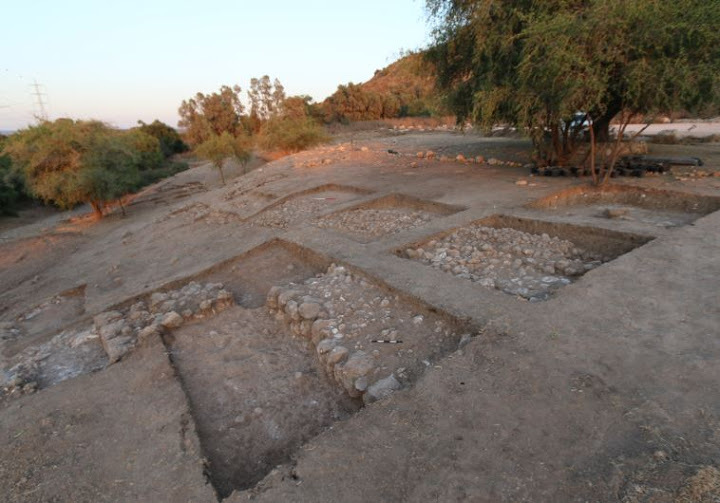 After discovering the massive entrance gate to Gath, huge enough for a giant to walk through, archaeologists in charge of the dig say the August 2015 find clearly points to Gath being one of the most important cities in ancient Palestine during the 9th and 10th centuries. In addition to the city gate, scientists have also unearthed an impressive fortification wall and what the Jerusalem Post calls, the earliest decipherable Philistine inscription containing two names similar to “Goliath.” Archaeologists also unearthed a Philistine temple, ironwork and of course, the all important pottery fragments and pieces. According to the Jerusalem Post, while the pottery bears hallmarks of the distinctive Philistine style, elements of Israelite techniques can be seen on the fragments as well, indicating there was more interaction between the two cultures than previously thought. Bearing out this Israelite and Philistine relationship are Biblical accounts found in 1st Samuel, Chapters 21, 27 & 29. Even though the Philistine champion died at his hand, David and his men, which most likely included their families and camp followers, spent considerable time with the Philistines in the years that he hid from Saul. Additionally, the Bible references the massive city gate in one account of David escaping from King Saul to the King of Gath, where apparently David feigned insanity to gain entrance to the city and refuge from Saul. 1st Samuel 21: 12 – 14, 12 Now David took these words to heart, and was very much afraid of Achish the king of Gath. 13 So he changed his behavior before them, pretended madness in their hands, scratched on the doors of the gate, and let his saliva fall down on his beard. What’s A Giant When You’ve Faced Bears And Lions? We know that adult David occasionally took matters into his own hands, unlike young David, the audacious, trusting teenager in the Valley of Elah. Young David, fresh from shepherding in Bethlehem fields, can’t bring himself to use weapons or armor when he faces his giant. Using only what he is comfortable with, David doesn’t employ any tricks, or sleight of hand. Clearly, he doesn’t even understand the reasons the two sides have faced off, he just knows that Goliath has mocked his God. That is his sole reason for picking up five smooth stones and walking into the Valley of Elah to face a waiting Goliath. 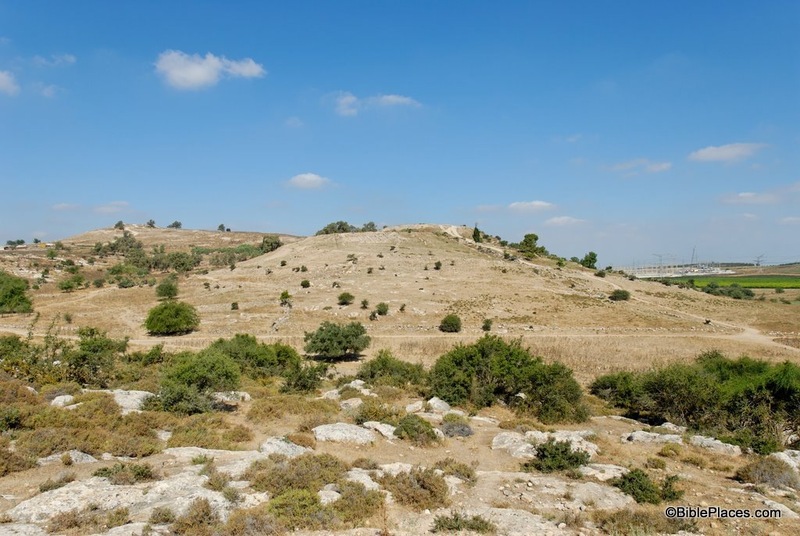 The Valley of Elah, a strategic battleground, extends westward from Gath to David’s hometown of Bethlehem where he tended sheep. Rich and I have stood there, viewed those ordinary fields and rolling hills, bent down to pick up stones from the creek bed to take home and imagined the two armies facing off. It isn’t hard to picture the soldiers arrayed on the hills. 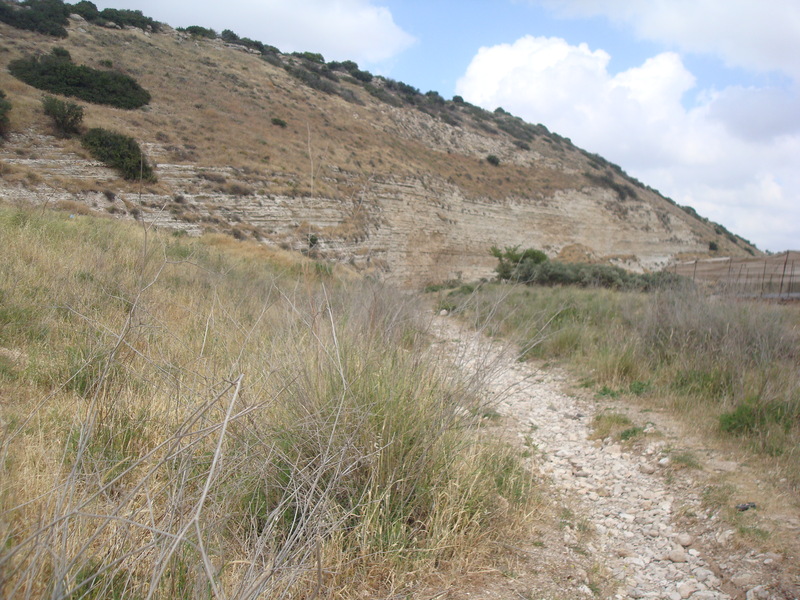 Josephus describes the stalemate between the opposing forces in his Jewish Antiquities, Book 6, Chapter 9: Saul drew out his army to oppose them, and by pitching his own camp on a certain hill, he forced the Philistines to leave their former camp and to encamp themselves upon such another hill, opposite that on which Saul’s army lay, so that a valley, which was between the two hills on which they lay, divided their camps asunder. 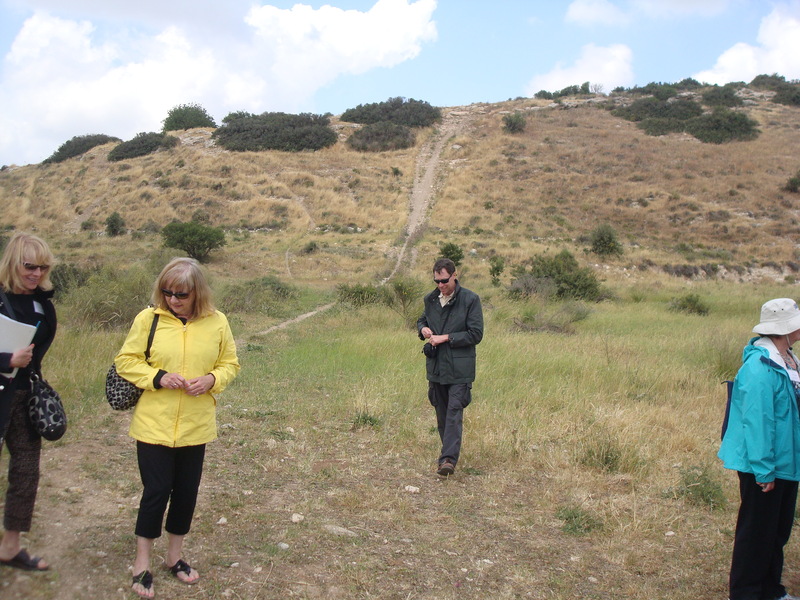 However, picturing a slight solitary teenager walking into that valley between the two enemy camps…. Five stones? Did he think he might miss? No, David had learned what he could about his enemy and knew that Goliath had four brothers…..so he was ready. He also knew that he could probably only carry five stones and throw accurately…..the stones he needed to take down a giant were most likely the size of a baseball. He trusted God to do the extraordinary and then he did what was ordinary for him. That is all God asks of us, He equips the called, and produces extraordinary out of the ordinary. Audacious faith is not passive. Neither is audacious prayer. Every aspiration you have in prayer needs an accompanying action. Otherwise you’re not really praying. You’re just pontificating. You do the natural. Trust God for the super. Steven Furtick.